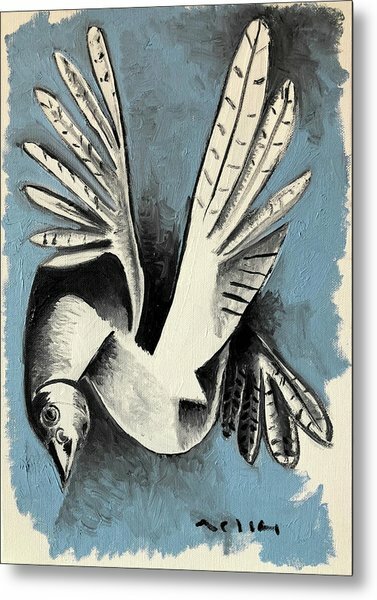 Dove is a painting by Mark M Mellon which was uploaded on September 2nd, 2018. The work is painted in Oil on Canvas. Varnished in a Satin UV Protective Varnish. The Canvas is stretched, with the sides painted matte black. 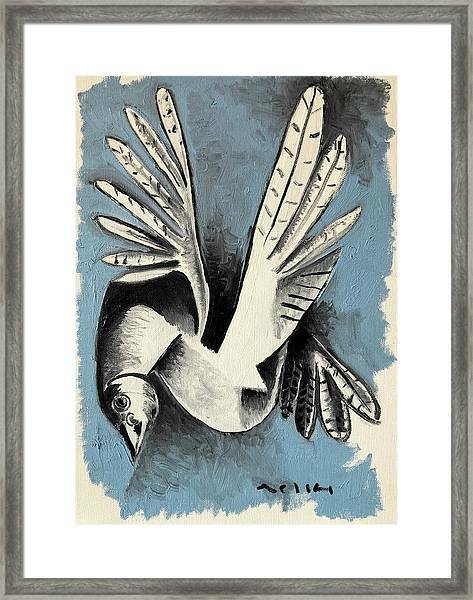 The piece can be easily displayed as is or added to a frame of your own choosing. Shipping and Framing is Included in The Price. Continuing my current series of abstract thoughts on peace. 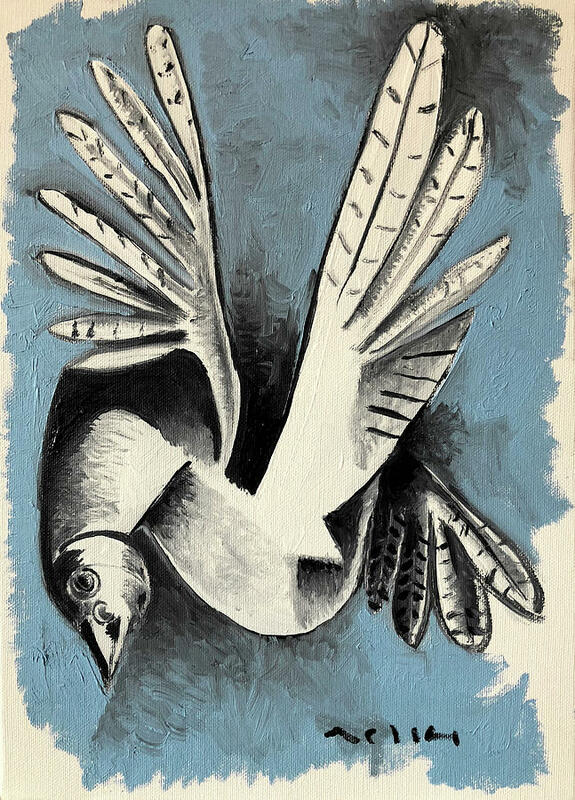 An oil study of the peace dove that is also featured in the work, "Attempt at Peace". This work is apart of series of oil and acrylic paintings on canvas and panel beginning in June of 2018. Each artwork is a continuation of my journey with cubism and primitivism in my work, also with each piece trying to fine tune my mission in the breadth of my portfolio to bring encapsulated stories of the struggles and joys of life on this world to each canvas, so that the piece can generate a multitude of narrations to each viewer and add life and emotion to any collection. Ships Free World Wide from The Çanakkale Studio via Fed Ex International. Delivery within 3 - 5 Business Days.. Ships with Certificate of Authenticity. Ships Packaged Flat in a box. Please contact us directly if you have additional questions.